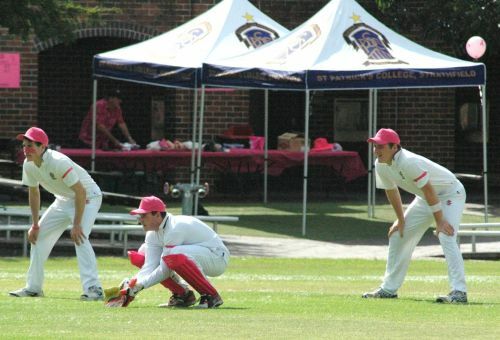 St Patrick’s College hosted Pink Stumps Day on Saturday 17 February and raised $2,056.70 for the McGrath Foundation. It was a great day which was thoroughly enjoyed by a number of people. Much of the success is owed to Mrs Loretta Mynett who went above and beyond expectations to ensure the event was one that the College community would embrace. Mrs Mynett and her fantastic team of parents, coaches, players and siblings of the 1st and 3rd XI’s did an amazing job on the cake stall, BBQ and decorated the College in pink. On behalf of the College, our thanks go to the above-mentioned people and those members of our community who donated cakes, came out on the day and gave generously to this great cause.